Michael W. Goodwin began his professional career by serving as controller, senior financial analyst, and chief financial officer for several Houston companies. He became a financial advisor in 2004 and formed his own company, Sterling Financial, in 2008. Sterling Financial merged with The M Group (founding partner Gordon Menard) to create Sterling Wealth Advisors in 2016. Michael earned a bachelor’s degree in accounting from the University of Texas and holds FINRA Series 6, 62, 63, and 65 licenses. Michael is a Texas native and has lived in The Woodlands since 1994. He and his wife, Shelie, have three beautiful daughters and are active members of The Woodlands United Methodist Church. 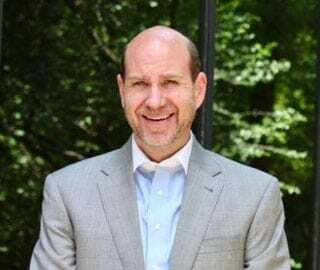 Michael is also active in The Woodlands community having previously served on the board of directors for the Montgomery County Food Bank, the Alden Bridge Village Association Board, and the Cottage Green Homeowners Association. He is also an avid ultramarathon runner and has previously competed in 50 mile endurance races and trekked the Grand Canyon from rim to rim.